We all aspire to be healthy and happy. People often say that health is wealth, indeed it is true. We can all be healthy if we have the determination, perseverance and discipline when it comes to choosing the healthier foods. After its successful launch in Metro Manila, the National Nutrition Council (NNC) pushes its "10 Kumainments”campaign to all 17 regions of the country, through the local government units (LGUs) as its drivers. The campaign, which provides “the recommended guide” for Filipinos to obtain a healthy diet by following simple guidelines,has been translated into local dialects, including Cebuano and Ivatan. The NNC-ARMM(Autonomous Region in Muslim Mindanao) has even made a transliteration of the nutritional guidelines in Arabic and called it the Nutritional Guidelines for Muslim Filipinos, which cites teachings in the Qur’an, showing support for each of the guidelines. The 10 Kumainments was launched last 23 October 2014 by the National Nutrition Council and has been widely publicized through well-placed TV and radio commercials in leading radio and television networks and local radio stations nationwide.Regional launch events were led by the NNC regional offices in key cities nationwide. The program was launched to address the growing concern for the nutritional status of Filipinos, which has been compromised by either a lack or excess of food, unhealthy eating habits and the trend towards a sedentary lifestyle. These have, in turn, led to the rise of non-communicable diseases like cardiovascular diseases, cancer, respiratory diseases and diabetes. “Filipinos love to eat, especially during the holiday season. That is why it is very important to remind Filipinos that they should not compromise their health while celebrating in countless office parties, family reunions and dining out opportunities this season,” said Assistant Secretary of Health Maria-Bernardita T. Flores, Executive Director of the NNC. 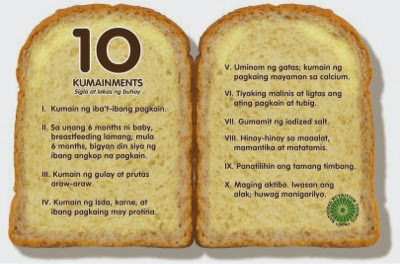 The NNC’s “10 Kumainments” were derived from the 10 Nutritional Guidelines for Filipinos (NGF)developed by aninter-agency Technical Working Group through the Food and Nutrition Research Institute of the Department of Science and Technology, and have been popularized this year with an easy-to-remember format and a more relatable approach. These are the primary recommendations for nutrition and healthy lifestyle in order to attain good health,” she continued. The 10 Kumainments are simple, easy to follow and easy to remember. For example, Kumainment No. 1 states: “Kumain ngiba’t ibang pagkain” while Kumainment No. 3 states: “Kumainng gulay at prutas araw-araw”. The 10 Kumainments are like the Biblical 10 Commandments.Thus, a character was developed in the person of Moises Dalisayor “Mang Moi” who was molded after the Biblical Moses—who now promotes the 10 Kumainments in media and in communities. The NNC plans to further push its nutritional awarenesscampaign by working together with various government agencies in 2015 for issuance of department circulars and memos to encourage the use of the nutritional guidelines.Restaurants, groceries, supermarkets, dining places and other public places will be included in the campaign since this is where people need to be reminded of pursuing healthy eatingand an active lifestyle. Since a lot of Filipinos also live abroad, a more aggressive and extensive dissemination of the 10 “Kumainments” will be done through Philippine embassies and consulates and the Internet for wider reach. “We encourage all Filipinos to follow the 10 Kumainments so that they can influence proper nutrition behaviours and to also be able to help reduce the risk to malnutrition and non-communicable diseases,” Flores said. 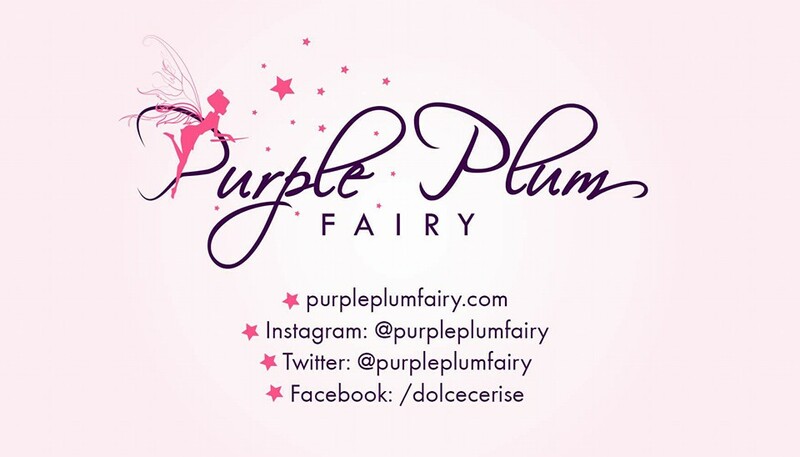 For more information, write or call the NATIONAL NUTRITION COUNCIL, 2332 Chino Roces Ave. Extension,Taguig City. Tel. Nos. 843.0142; 843.1337; 843.5824; Fax No.843.5818; Email: info@nnc.gov.ph or visithttp://www.nnc.gov.ph and www.facebook.com/nncofficial. Twitter @NNC_official.